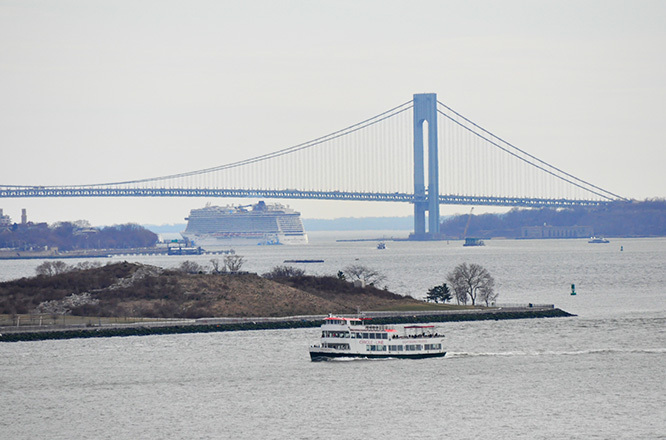 Many ships pass Lower Manhattan on their way to and from the Midtown Passenger Ship Terminal. Others may be seen on their way to or from docks in Brooklyn and Bayonne. Stated times, when appropriate, are for passing the Colgate Clock and are based on sighting histories, published schedules and intuition. They are also subject to tides, fog, winds, freak waves, hurricanes and the whims of upper management.